You are here: Home / Blog / Why Do I need a SEO Monthly Package? Why Do I need a SEO Monthly Package? Why do I need a monthly SEO package? This has to be the most asked question any SEO company hears. Most companies understand the need for a website in this age of the internet and the importance of having an online presence in gaining a competitive advantage. If businesses accept the fact that SEO helps people find you on the internet, why do you want them to pay a monthly fee? Surely if we the SEO company could just SEO the website once and that would be that! Google who have created the most popular Search engine in the world need to monetize it. This is why they offer to sell you Adwords so that you are on the first page of Google for certain keywords. This means that you are immediately ranking and getting lots of people onto your website, hopefully buying your products or services. Sounds great, that’s until you get the bill! For some high competitive keywords you could be paying in the region of €20+ ($87 dollars is the highest I have heard of) every time someone clicks into your site. 100 people a day is €2,000 and on average 95 of them are just browsing. Are those remaining 5 people going to cover the €2,000 for Google and still make you a nice profit? If the answer is yes then great but in most cases the answer is no. This is why companies either hire their own SEO team or try to hire the best SEO companies. So they can rank on the first page of Google, get loads of visitors and generate profits for the company at a reasonable cost. The reason that you have to keep getting your site SEO’d is because without continuing on-site SEO the algorithm that Google uses will lessen your rankings. Therefore your site which was once on the first page of Google, slowly drifts down the rankings until the only way anyone finds your website is if they know the exact address. You can’t just blame Google completely though. Don’t forget that you have competitors too who want to rank as high as possible to generate more leads. sales and generate revenue. In order to hold your place or to overtake your competitors, you have to take part in the SEO race for the top. This is why you have to have continuous SEO services implemented on your site. When over 80% of people use Search engines instead of a telephone directory you have to compete in the race or as they say “hang up those old running shoes”. One final point. Many businesses place an ad in a local newspaper every week and think nothing of it as this is how they have always advertised. With the shrinking number of people who actually read a newspaper it’s not a strong return on investment. It is now time to spend your advertising budget on where you will have a greater chance of success, build brand awareness and reach a much larger amount of potential clients. Most large companies have switched part of their regular radio, television and newspaper advertising budget to SEO, Social Media, PPC etc. They find that they can both save money and increase their number of customers. This is why your company needs a monthly SEO package! 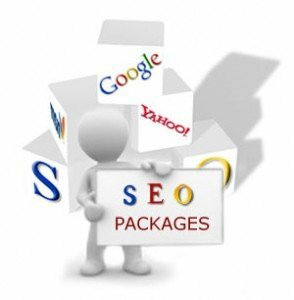 If you have any questions on our SEO packages, please click here to fill out our Contact Us form. We will do our best to answer any questions you may have.